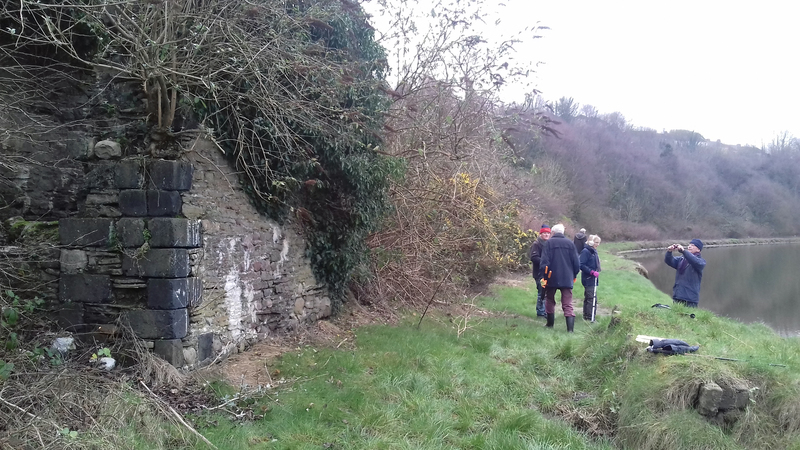 On 10 January 2019 eight intrepid Friends of White Rock set off to find the Foxhole coal staithes, a scheduled monument half a mile or so downstream from White Rock. Staithes are elevated platforms for discharging coal and other materials from railway cars into vessels, or in this case from lower end of the Smith Canal to small boats and barges. 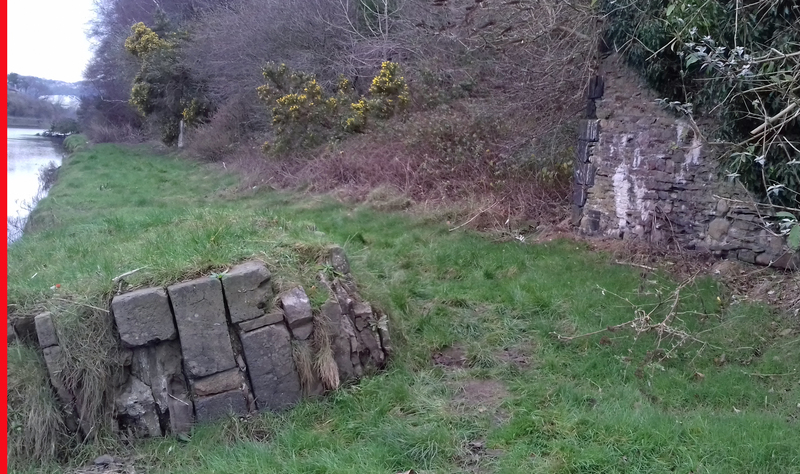 ‘The remains of three stone straithes typical of those used to load coal from horse drawn trams down chutes and into waiting vessels from the 17th Century to the early 19th Century. 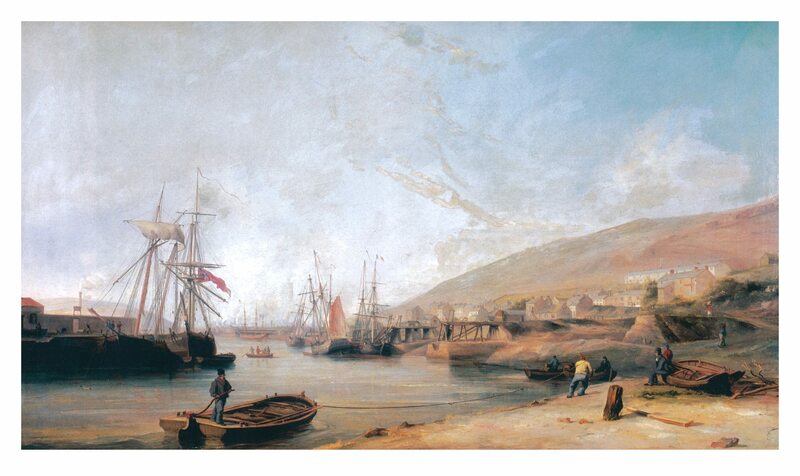 One example at Landore was drawn by J C Ibbetson c1792. This group is situated at the southern end of Smith’s Canal, built in 1783-5, and probably dates from around this time. It was certainly in use by 1826. The coal was shipped in river boats and coasting efficient transport of coal. 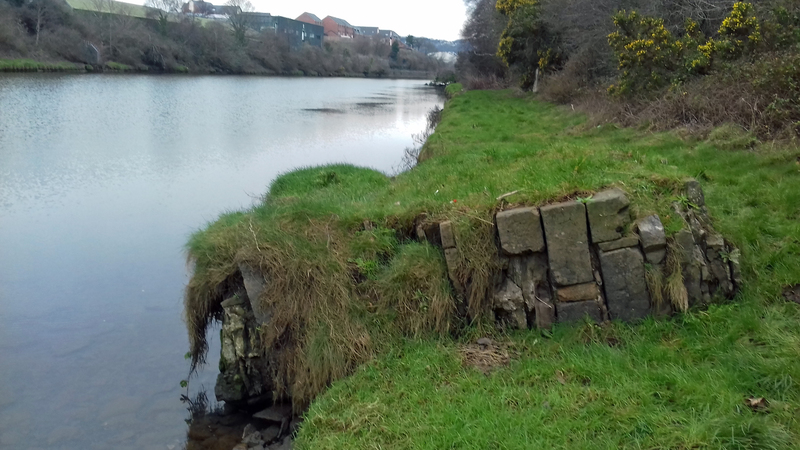 Although several stone wharves or quays survive on the Tawe, these are the only tipping straithes from the industrial revolution period currently known to survive on any Welsh river. 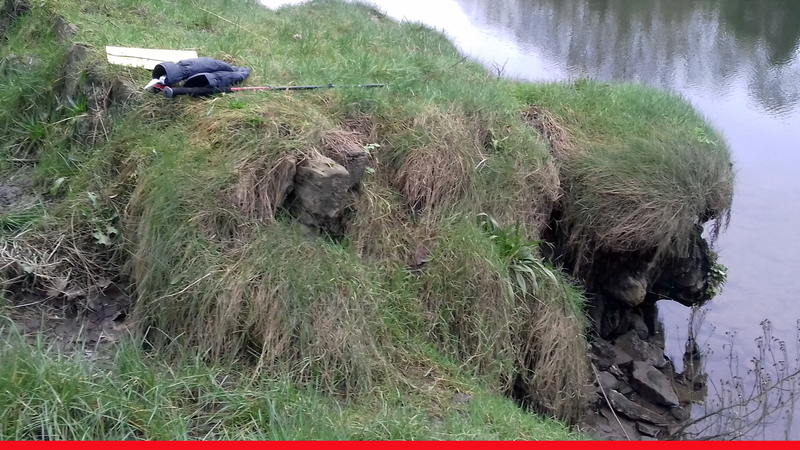 ‘The straithes are sited on the edge of the river’s sloping bank. 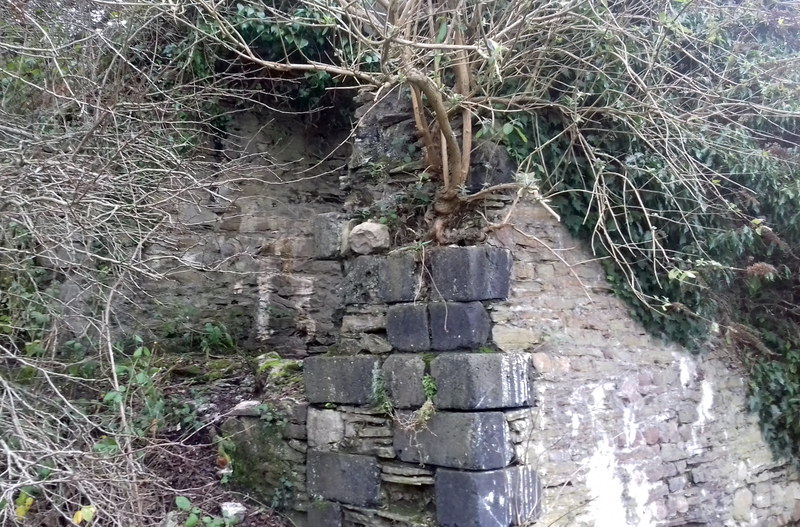 Each is constructed or rubble sandstone with some copper slag block quoins and earthwork banks to the rear, and is some 7m high. Two have single walls with embankments behind, but the third has three additional stone piers toward the river (the outermost of which as toppled). All of the straithes would formerly have carried wooden superstructures for the tram railes and chutes. 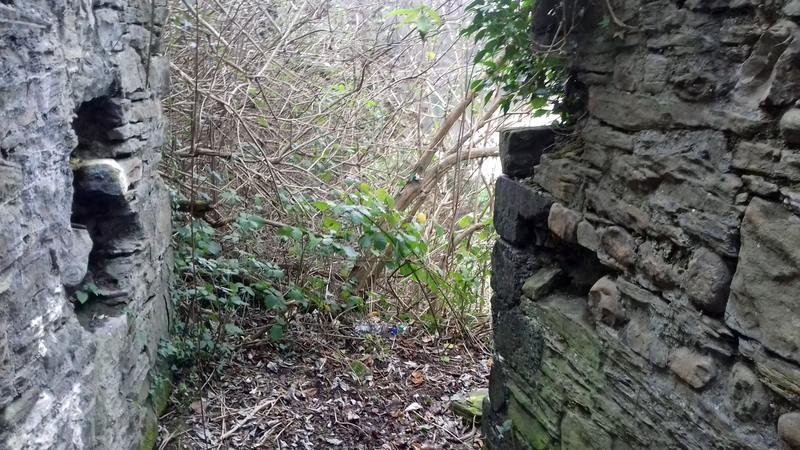 Having corrected the grid reference in the CADW documentation and after a short scramble to river level, the staithes were found in the state described in 1995.